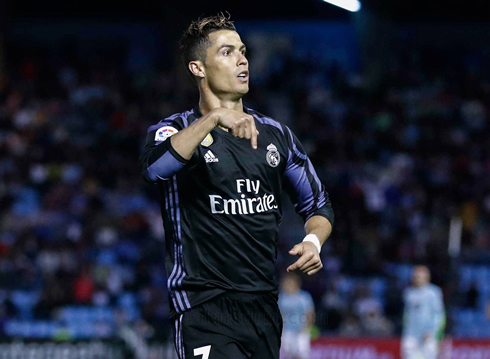 ﻿ Celta de Vigo 1-4 Real Madrid. Matchpoint in La Liga this Sunday! 17.05.2017 » Celta de Vigo 1-4 Real Madrid. Matchpoint in La Liga this Sunday! 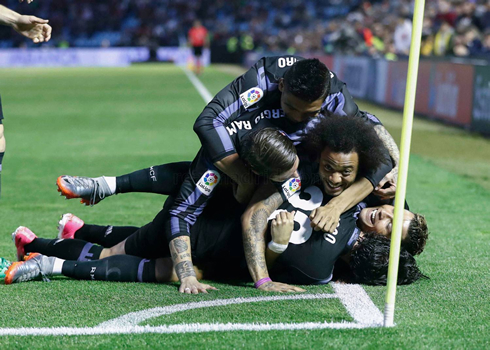 There was no contestation at the Balaídos tonight, as Real Madrid travelled to Vigo to defeat Celta by 4-1 and establish a 3-point lead over Barcelona heading to the final fixture of La Liga. Ronaldo with a double, Benzema and Toni Kroos scored this evening's goals for the Merengues. 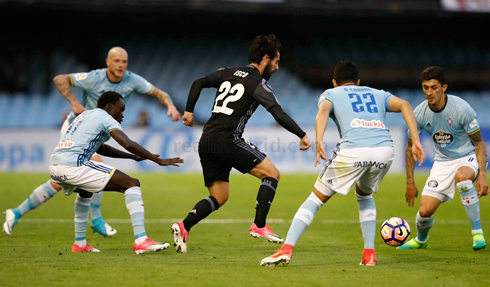 There were no rotations tonight, as Real Madrid paid a visit to Celta de Vigo pressured to bring home the 3 points. And that's what they've done! The Merengues oulled off an expressive 4-1 win, with two goals from Cristiano Ronaldo, one by Karim Benzema and another by Toni Kroos. With tonight's victory, Real Madrid will go into the Spanish League's final round of fixtures this upcoming weekend on the top of the standings and well aware that a simple draw will suffice to become the new Spanish champions. 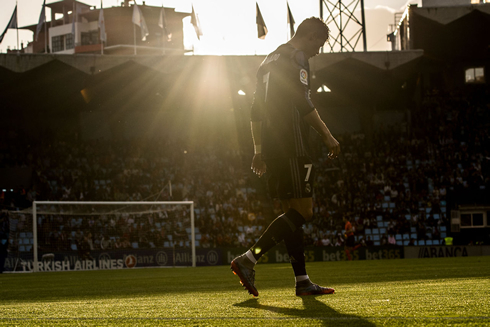 A professional performance vs Celta Vigo in a make up match that many thought to be a potential slipping point in the league, was enough as Real Madrid ran away 4-1 winners in the end. A double from Ronaldo and goals from Benzema and Toni Kroos were enough to secure the victory for Madrid, who are now a point away from securing their first La Liga title since 2012. 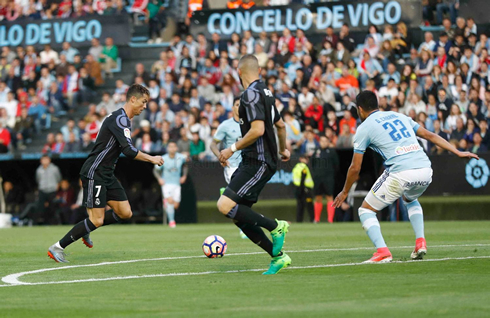 Ronaldo's first goal was an absolute gem, a left-footed strike into the corner of the net after some good work from Isco. His second would come in the second half, as Madrid began to put the game away. A simple tap in from Benzema after some good work from Marcelo made it 3-0, before Toni Kroos sealed the deal with a calm finish after faking out the Celta defense in the process. It was a great game by all accounts, though, the score line does flatter a bit as Celta were a bit dangerous at times. Now all that remains between Real Madrid and La Liga is Malaga. Real Madrid are now top of the league, a full three points ahead of Barcelona and with everything in their destiny. One game in La Liga and one game in the UEFA Champions League is all that stands between Real Madrid and an historic double. But regardless of the result, this club and these players have made us proud this year.